UP NEXT: we're thrilled to be part of kenosha's big read!! RG Productions' favorite moments of the decade!! In the blink of an eye, our 10th year on stage has drawn near!! As we look back, the decade contains so many fond memories for our RG Productions team. From the sold out crowds and home grown talent at our PM&L performances, the national attention our group received on podcasts for the National Audio Theatre Festivals and Radio Drama Revival, to the amazing "Year of Orson Welles," it was a stellar decade for Old Time Radio fans. Here are some of our favorite memories! A special thank you to our hosts for the year: PM&L Theatre in Antioch, Get Behind the Arts 2014, Woodstock Celebrates, Caledonia Historical Society, the University of Wisconsin-Parkside Library, and the Kenosha Public Museums!! A special thank you to our friends at Kenosha Community Media who come to film for their community TV. FEBRUARY: Two of the greatest dames in Old Time Radio were back at it with Rebecca Diamond, Private Eye as the cunning Rebecca faught to save the life of her brother. 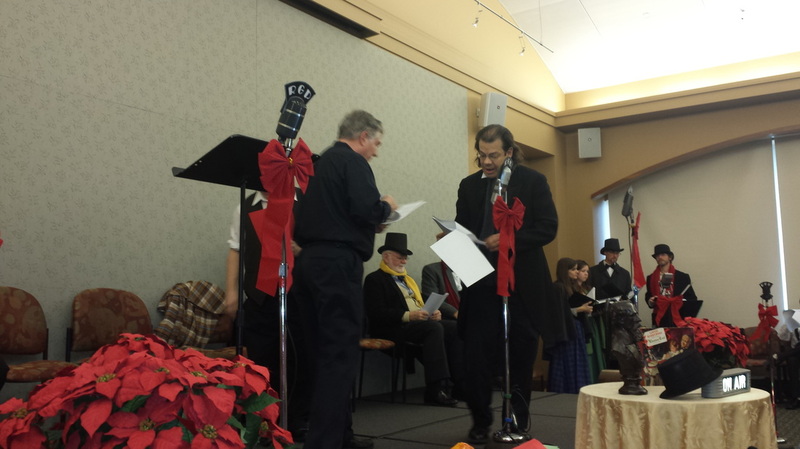 Other notables in the performance included Sam Spade and Dragnet. We sold out the show and all the proceeds went to fund the PM&L Theatre curtain campaign. Rebecca Diamond later went on to receive national acclaim as a featured show in the NATF podcast palooza listening room! MAY: Our Orson Welles Celebration show in Woodstock, IL (on the Orson Welles Stage!! ), was very well attended and received by Wellesians from across the country! To say it was an honor to be invited to perform on this stage in front of this audience, well, that's a definite understatement! 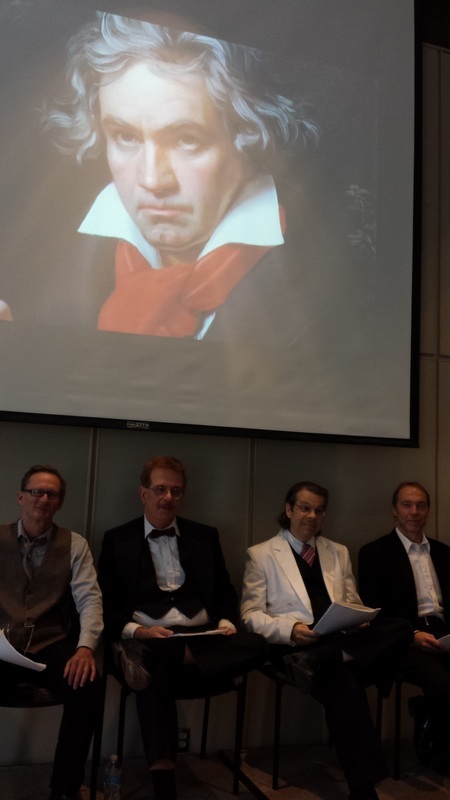 We performed a full-blown 2.5 hour show of Welles' radio classics and the audience was with us the whole time! 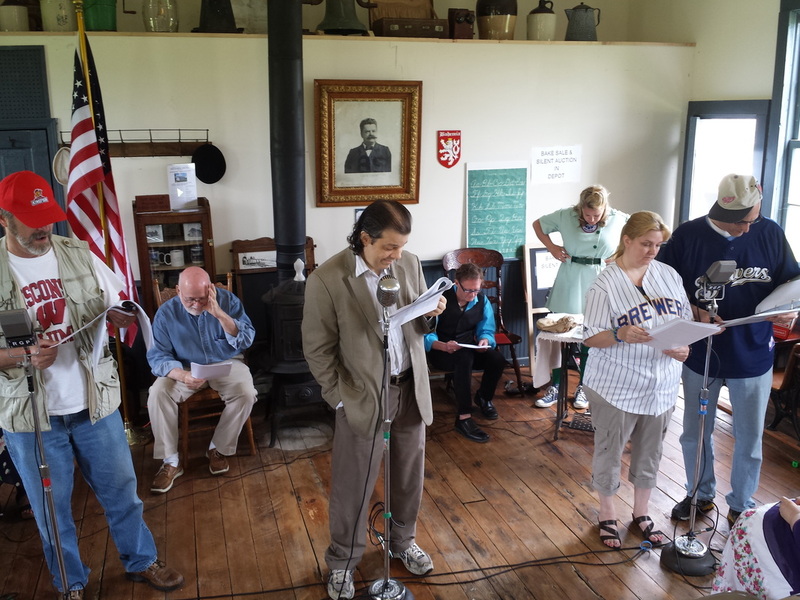 JUNE: The opportunity to perform baseball-themed shows on Father's Day at one of our favorite historical locations, the Caledonia Historical Society, was a special treat! The cast dressed the part, down to the authentic WW II Lady Bombers outfit sported by Leslie and the "crowd" enjoyed peanuts and cracker jack, Casey at the Bat, and Who's On First? 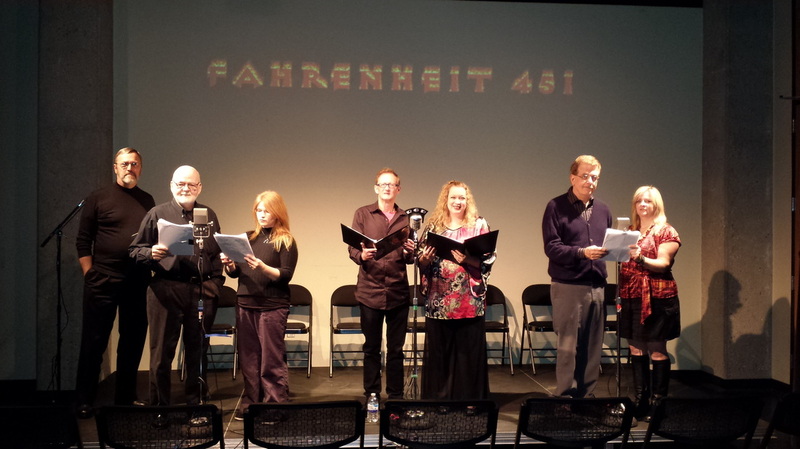 SEPTEMBER: It's hard to explain just how excellent our Fahrenheit 451 show was, which was performed as part of the UW Parkside's BIG READ. First off, the novel has never been made into a radio drama version before, and secondly, the cast performance, directing, and visuals with sound earned director Ed Godula our SILVER MIKE AWARD for most Outstanding Show of 2014!! 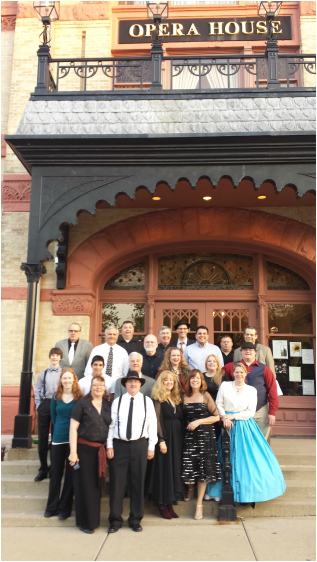 OCTOBER: Collaborating with others in the community rose to a new level for RG in 2014 as we had our first performance in conjunction with the Kenosha Symphony Orchestra! While the orchestra performed the iconic Beethoven's 9th Symphony in the evening, we provided the community with a unique performance that day, "A Pilgrimage to Beethoven," written by composer Richard Wagner portraying his humorous and heartfelt trip to Vienna to meet the "master." DECEMBER: We ended the year on cue, as always, with a heartwarming story with a message never grows old: Charles Dickens' classic "A Christmas Carol." Along with our friends Jessica Michna, The Puppet Underground, SEWPA, and Ray Forgianni, we gave back to the community as much as they have given us over the years! And, as Tiny Tim says: "And to all a good night!!" We wish you peace and joy in the new year!! If you'd like to join our group or contact us for a performance, see the information below!